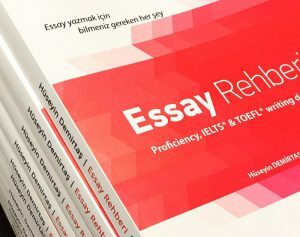 Proficiency essay konuları sayfasında Bahçeşehir, İTÜ, Yeditepe gibi üniversitelerin Proficiency sınavlarıyla ilgili essay konularını bulacaksınız. Violence against women is a serious problem around the world. Women in many countries suffer from various forms of violence. What do you thing can be done to eliminate this problem? College graduates make more money. More and more jobs require college degrees. Young adults learn interpersonal skills in college. Many recent college graduates are un- or underemployed. Daha iyi Proficiency essayleri yazmak ister misiniz? Essayinizi bize e-posta atın, 48 saat içinde kelime kelime, satır satır inceleyip yanlışlarınızı düzeltip bilmeniz gerekenleri anlatalım. Writing notunuzu yükseltin. Başlamak için aşağıda yer alan Proficiency paketlerinden birini seçin. There has been a rise in the number of terror acts around the world. Many countries have suffered from the tragic consequences of terrorism. It is important to address this issue to establish a society where citizen can live in peace. How do you think the problem of terrorism can be solved? Locating and dealing with politicians who give support to terrorists. Instituting positive incentives to actual and prospective terrorist for proper reintegration into society. Social networking sites spread information faster than any other media. Social media sites help employers find employees and job-seekers find work.